So I've decided to move my nail posts over here since it's a big feature in my life and somehow I think my nail art deserves a blog of its own. 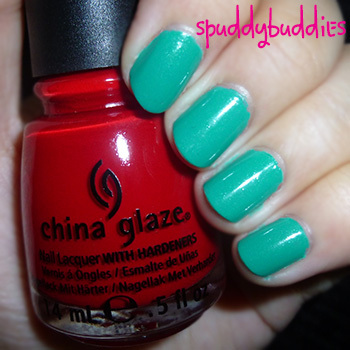 This will be my little space on the Internet to talk about all things nail polish related. Here are some of the goodies that I brought back. I'm only going to be showing the bottles even though I've swatched all of these because I haven't loaded all the pictures yet. My first few bottles of Essie are in this haul and I don't regret spending $7.79 on each bottle. The formula for the colors that I bought are amazing. I'm wearing Naughty Nautical in all the pictures and I LOVE it so much! I'm so glad I saw the swatches of this and read the good reviews about it. I saw it in Target and snagged it without thinking. I already have one bottle at home but it's one of my favorite colors and I'd been using it a lot so I had to get a spare. 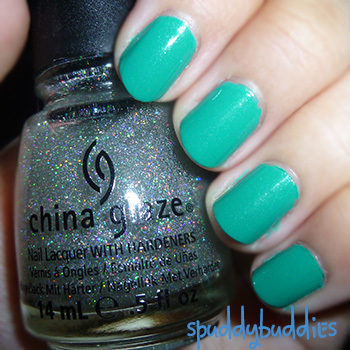 It really doesn't look that green on the nail but this is what it looks like with flash. I have so much that I want to do with this blog so bear with me while I fiddle with it and get it to the way I want.